What be a pirate’s favorite letter? Ahoy, Mateys! Today, the 19th of September, be International Talk Like a Pirate Day. Now, I know what ye be thinkin’. Ye be thinkin’, “Why does a Catholic website have to add to such a weird minor holiday?” Well, there be a few pirate stories in de history of de Church. 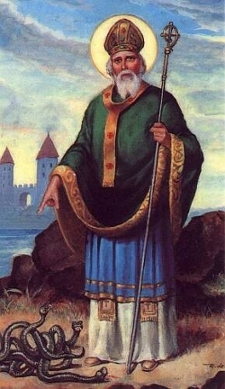 One of de most famous saints in de history of de Church is Saint Patrick. Many Catholics just drink green beer and do not learn much about dis saint. Doze who do know something of his life know about his preachin’ in Ireland. A lesser known fact about ‘im is dat, as a young man, Patrick was kidnapped by pirates and sold into slavery. Dis was his first time in de land of Ireland. After escapin’ captivity and returning to ‘is native land (which was not Ireland, in case you didn’t know Patrick was not Irish), he returned as an adult to minister to de Irish pagans. De Spanish city of Villajoyosa honors Saint Martha as der patroness. According to a legend, Beber pirates were about to attack Villajoyosa in 1538, and dis attack was thwarted by flash floods. 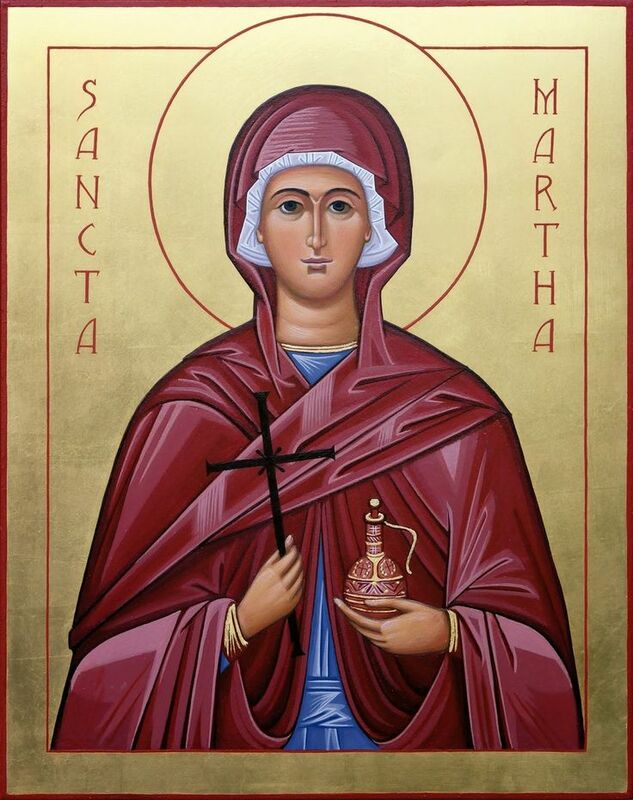 De citizens of Villajoyosa attribute dis miracle to de intercession of Saint Martha. Richard Ingle was a prominent English tobacco trader in de Catholic colony of Maryland. Durin’ de English Civil War, Ingle sided wid de Protestants which caused a rift b’tween ‘im and de Catholic leaders of de colony of Maryland. Governor Leonard Calvert seized ‘is ship. Ingle later returned with an aptly named ship, Reformation, and seized St. Mary’s City, de capital of de Maryland colony. Governor Calvert also ‘ad a feud with William Claiborne. Dey were constantly fightin’ over control of Kent Island, which be in de Chesapeake Bay. Ingle and Claiborne teamed up to plunder de property of Catholics livin’ in de Maryland colony. Dis period of time be known as “Plunderin’ Time” to ‘istorians. Eventually, Calvert returned and regained control of de colony. 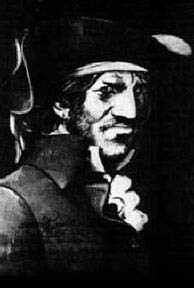 François le Clerc was de first pirate in the modern era to ‘ave a peg leg. ‘E refused to retire after receivin’ de injury dat cost ‘im ‘is leg and actually increased ‘is pirate activities, mostly attackin’ de Spanish. From 1562 to 1563, ‘e joined an English invasion of Le Havre durin’ a rebellion led by Protestants in Normandy against deir Catholic King. Dis be one of de most lucrative attacks done by pirates. In April of 1721, Olivier Levasseur, who was nicknamed “La Buse” (The Buzzard) for how quickly and ruthlessly he attacked ships, wid de help of ‘is ally, John Taylor, plundered de Nossa Senhora do Cabo (Our Lady of the Cape), also known as Virgem Do Cabo (The Virgin of the Cape), which was carrying treasures belongin’ to de Bishop of Goa. Dey was able to take de ship widout firin’ a single shot because de ship had been damaged in a storm and was forced to dump all of deir cannons to prevent capsizin’. De loot included gold, silver, diamonds, pearls, silk, art, and religious items from de Cathedral in Goa, including de Flaming Cross of Goa made of gold wid diamonds, rubies, and emeralds. Dis treasure has been estimated to be worth anywhere between $400 million to $2 billion in today’s dollars. An additional fun fact about dis theft of Church property is dat, right before he was hung for bein’ a pirate, Levasseur left behind a cryptogram containing clues to where he buried ‘is treasure. To dis day, nobody has solved dis puzzle. French missionary and member of the Order of Preachers, Jean-Baptiste Labat celebrated Mass for some pirates in 1694. Apparently, dese pirates fired deir guns at fitting moments durin’ de Mass, and dey also donated a portion of deir loot to de Church.